GEA 77K photographed in 1971. 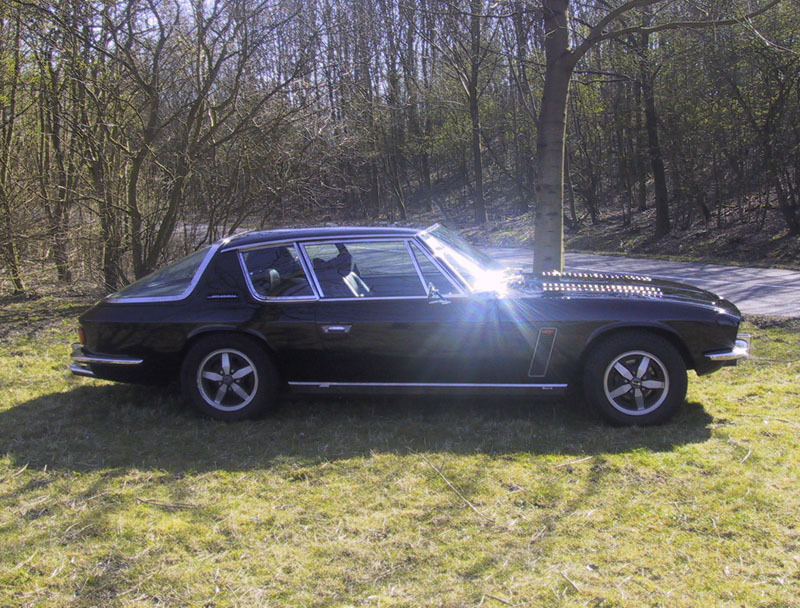 Many Jensen enthusiasts will instantly recognise the registration number GEA 77K. 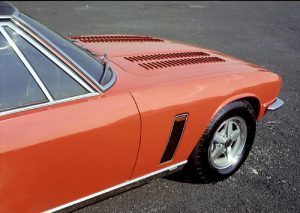 The number was assigned to the first production Jensen SP. This important car with chassis number 131/4254, is often referred to as SP Number One. The Museum has been given a unique insight to the ongoing restoration of SP Number One for its Dutch owner. 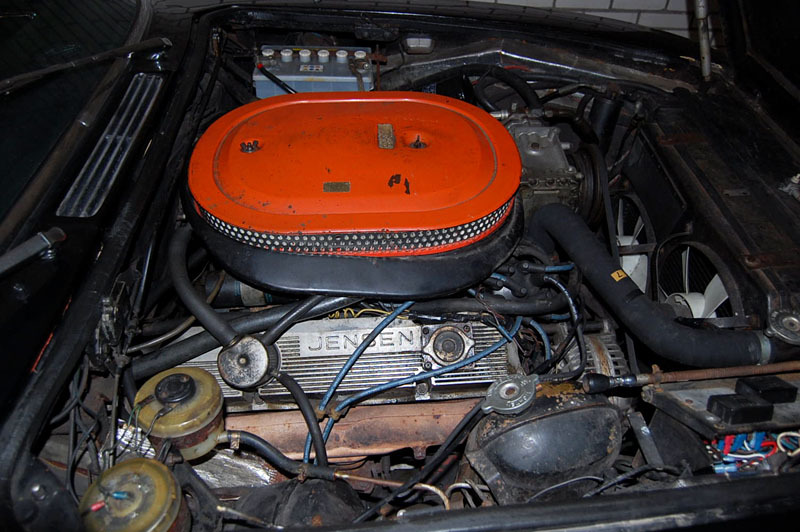 Jensen SP chassis number 131/4254 was the first production SP. Built up with a specification of tangerine paint, vinyl roof, and black leather trim, the car was completed in September 1971 in time for the October Motor Show. Jensen Motors registered the car on 8th September 1971 at which time the car was assigned the registration number GEA 77K. Directly after the Motor Show, GEA 77K was used as a demonstration car, and was the subject of articles with both Autocar and Motor magazines. 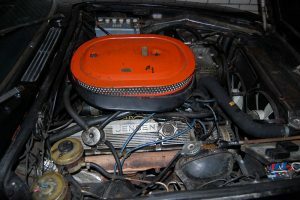 Apparently the ‘G’ series engine had blown up during testing, so Jensen Motors fitted an ‘H’ series engine in its place. In April 1972 the car was sold to its first private owner, Mr. Richard G. Rawlings, company director of Rawlings & Sons – Wine Shippers and Merchants. At the point of purchase, Rawlings wanted a ‘towing attachment’ fitted to the car, in order to tow his boat on weekend coastal trips. A letter from Rawlings seems to indicate that Jensen Motors were reluctant to install such an attachment to the car, this was due to implications with warranty. However, Rawlings insisted, and his insistence paid off. Jensen Motors fitted the towing attachment. GEA 77K was painted black at somepoint in its life. Engine-bay of GEA 77K when the present owner acquired the car. Six -pack carburettor system still in place. After passing through various hands in the UK, the car was imported to The Netherlands by its first Dutch owner in 2003, and put on its Dutch registration on 12th March 2003. The second – and present – Dutch owner acquired 131/4254 on 2nd August 2006. The car was painted black at some point in its history and had also lost it vinyl roof. Apart from this, 131/4254 was in a remarkably original state, with none of the original parts removed and/or replaced. The SP retains the H-series engine installed by Jensen Motors just before its sale to Rawlings, and still retains its original gearbox. 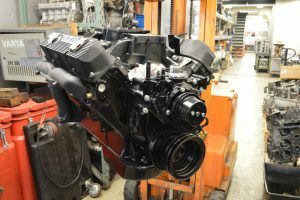 After the new owner acquired the vehicle, it became apparent that the car had suffered from underinvestment in regular maintenance and upkeep in the past. In spite of careful use and keeping the car garaged at all times, it was clear that regular maintenance alone would not preserve this important motor car for future generations of classic car enthusiasts. 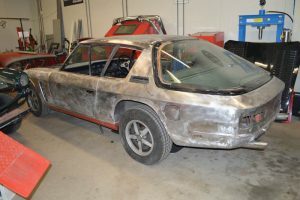 Therefore, towards the end of 2012, the car was offered to Klassieker Service Schackman in The Netherlands for a sympathetic restoration. 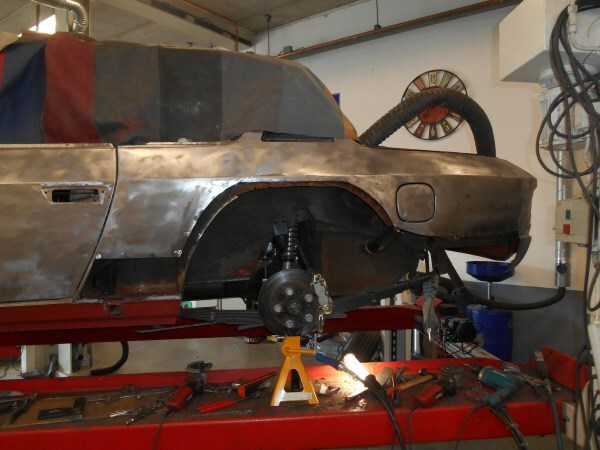 The owner gave instructions to Stef Schackman, that as much original metalwork as possible should be saved, to maintain the originality and integrity of the car. Schackman is generally recognized as the foremost Jensen expert on the Continent, with many Jensen owners entrusting him with both restoration and regular maintenance of their precious motor cars. Although the business has grown, Schackman is still intimately involved with each restoration himself, thereby guaranteeing the best quality achievable. GEA 77K with paint removed ready for metalwork. Rebuilt engine, ready to go back into GEA 77K. Work since 2012 has been progressing slowly but surely. The bodywork was less rusted than originally feared, but still required careful attention. Some rust to the rear wheel arches and lower panels needed cutting out and replacing. The engine had been running rough, in addition, the gearbox was obviously worn. Both were dispatched to expert restorers that embarked on full rebuilds to factory specifications (‘blueprinting’). These are now completed (2016). Typically, there were warping issues with the six-pack carburettors, so a new set have been found and purchased from the USA. 131/4254 is still at the ‘bare shell’ stage at the time of writing this article (2016). The car will be finished to full factory specification of tangerine paint, with black vinyl roof panel. Obviously, the engine will retain its fully functioning six-pack carburettor system. Fortunately, the original leather interior had survived the decades in particularly good condition. Everything could be saved, and has been cleaned and treated. In addition, the original steering wheel is still with the car, and an original specification ‘8’ track player has been sourced to compliment the interior. 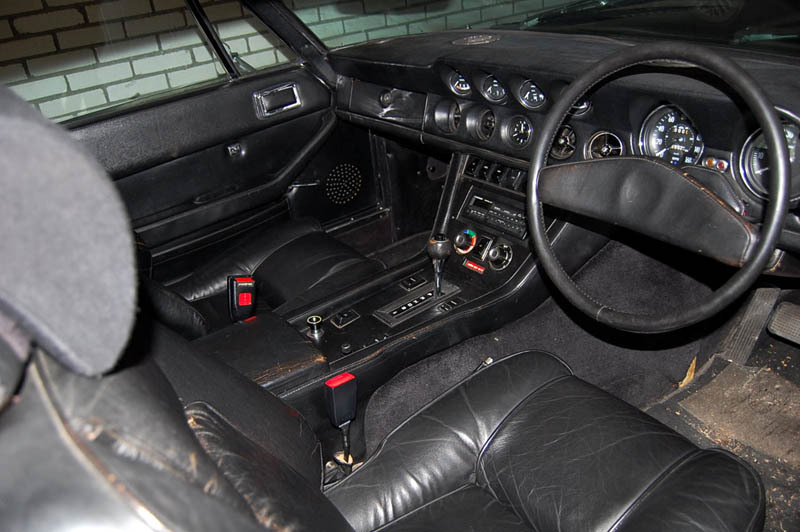 The interior of GEA 77K had survived in particularly good condition. 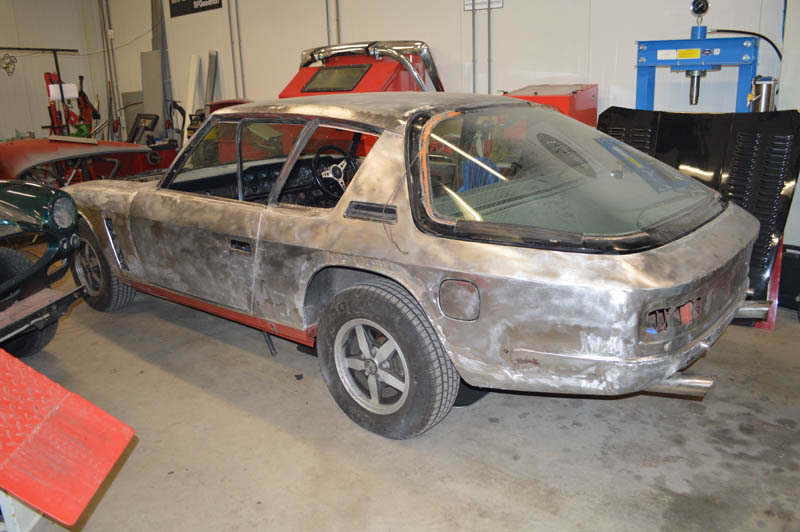 Hopefully work will be completed soon, and the Museum can showcase Jensen SP, chassis number 131/4254, SP number one, just as it looked in 1971.